ELMHURST – Emphasizing that it is not the final solution to solve residential flooding in Elmhurst which often occurs during heavy rainfall, Stormwater Communications Committee Chairman Ben Olsen told reporters at a press conference Monday that rain barrels available for purchase through the city are an excellent transitory stopgap for flood zone residents to “stymie” water from saturating their backyards and submerging their basements. Designed to catch and store rainwater from the roof of a home, the barrel attaches to a gutter downspout. A hose is attached to a valve at the bottom of the barrel, which allows for lawn and garden watering, or to divert water to a neighbor’s backyard. 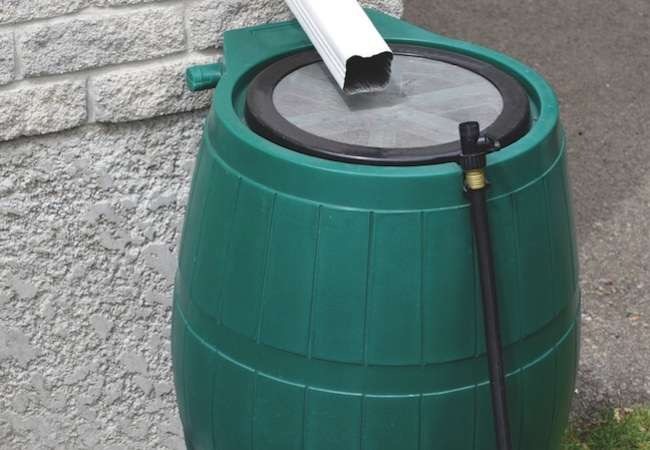 While residents may purchase a rain barrel from anywhere they choose, the city’s barrels – available for $57 through the Finance Counter at City Hall – come with free delivery and are abundantly available.